A short two night, three day stay introduced me to a healthier way of living at this residential retreat. From morning yoga classes and specialised Ayurveda treatments to a fully-functional swimming pool and tennis court, guests here have a range of activities to suit their needs. 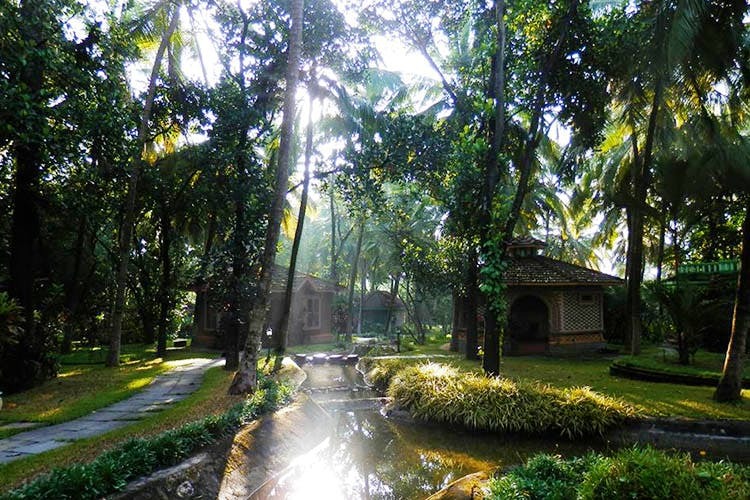 And, if you are want an extra dose of the quiet, you can opt for a short walking tour of the curated ayurveda garden. However, the treatments and food, both inspired by Ayurveda take the prize, for being the highlight of the entire experience. The Sadhya, a typical Kerala thali which is served once a week that includes local dishes served on a banana leaf-true to authentic Malabar experience. And, its freshly prepared form scratch by their in-house chef. Highly recommend for everyone who is looking for a little break to detox and reboot their lifestyle.